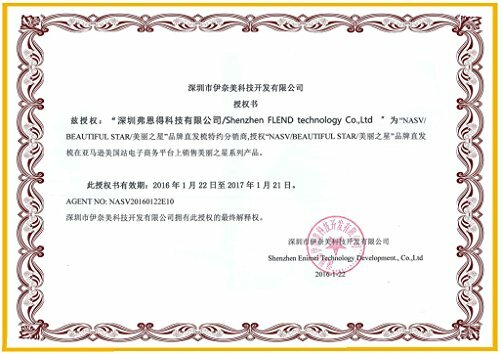 FLEND Magic Hair Comb Straightener (manufactured by NASV factory) helps to straighten your hair in half the time of a normal straightener by joining together the convenience of a hair brush with the effectiveness of a heated straightener. 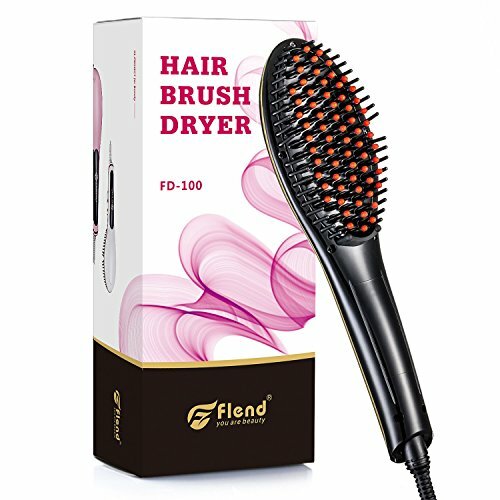 The Flend Straightening Brush is one of the easiest ways to straighten your hair and enables you to get to the roots while preventing burns to the scalp. 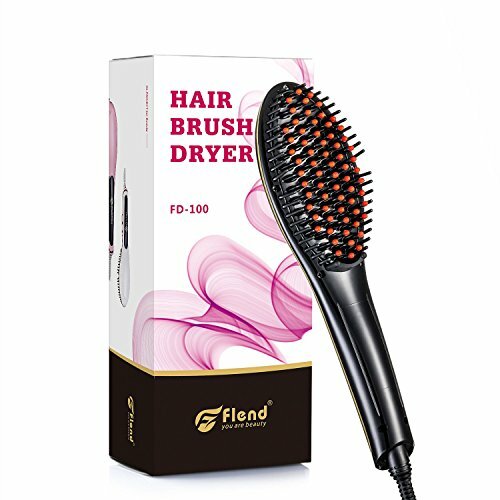 The Flend Straightening Brush saves time by allowing you to straighten larger sections than a normal flat iron. 1. Hold the power button for 2 seconds to turn on the straightener. 2. While the straightener is heating to your desired temperature, brush your hair until it is completely knot free and apply an oil based heat protectant for best results. 3. We recommend that you use a heat resistant glove to help prevent burning. 4. Seperate your hair into medium sized sections. Then run brush from root to tip. Depending on how thick or curly your hair is, you may need to repeat the process 2-3 times until desired straightness is achieved. 5. When finished you can simply run it through your hair like a normal brush for the finishing touches. Do not compare our product with other cheap and low quality straighteners, you will find how it deserves your money after purchase! "Add to Cart" Now! PREMIUM QUALITY - designed to suit your everyday needs, NASV hair straightener meets the highest standards of quality. It's paraben and chemicals free - this hair straightener matches our long-standing commitment to quality. HIGHLY EFFECTIVE - if it's not effective, it's not NASV. 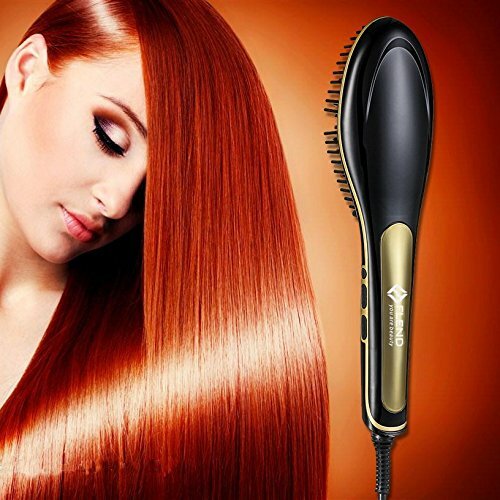 Our hair straightener combines a simplistic, appealing design with in-built safety and ultimate functionality to give you an accessory that beats all other hair straightening products. PLUG & PLAY HAIR ACCESSORY - ready to use, stress-free hair straightener. No bending brushes or rough handles. Works straight out of the box, for both men's and women's hairs. 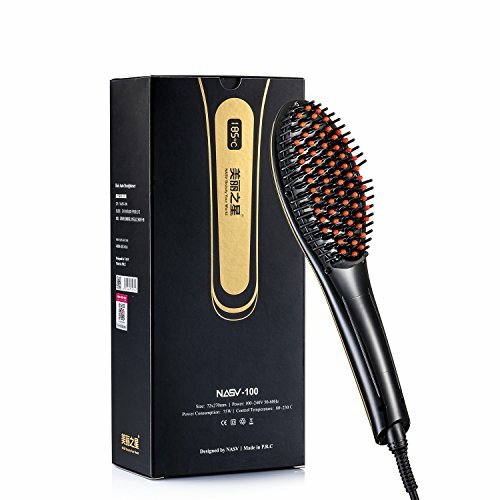 NASV SATISFACTION GUARANTEE - created and merchandised by the reputable NASV brand, this hair straightener comes with a 100% satisfaction guarantee. THE LUXURY LOOK - nothing helps with that luxurious look than a NASV hair straightener. This product combines thoughtful design with innovative technology to straighten your hairs and knots into a great look.